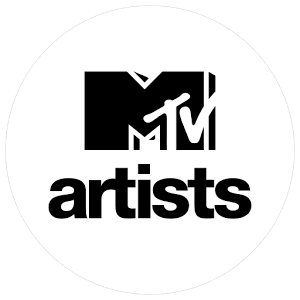 MTV Artists makes discovering and connecting to music artists easier than ever. 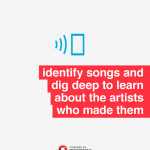 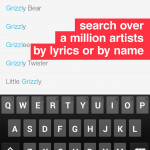 Use Sound ID or lyric search to identify tracks. 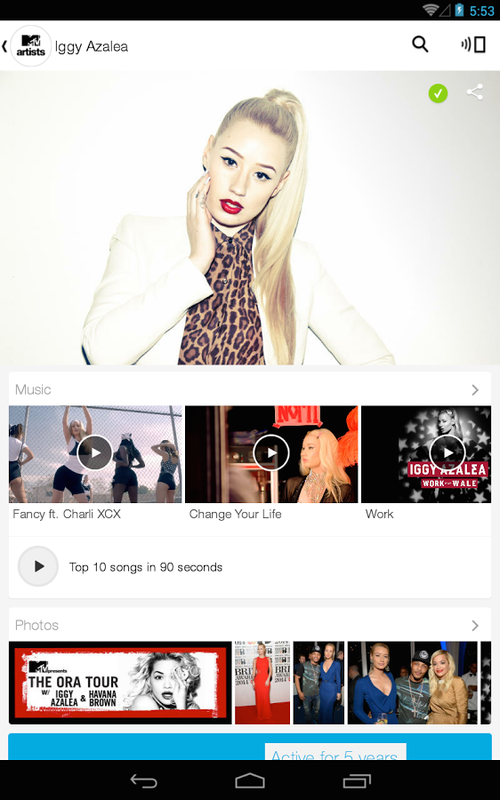 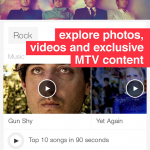 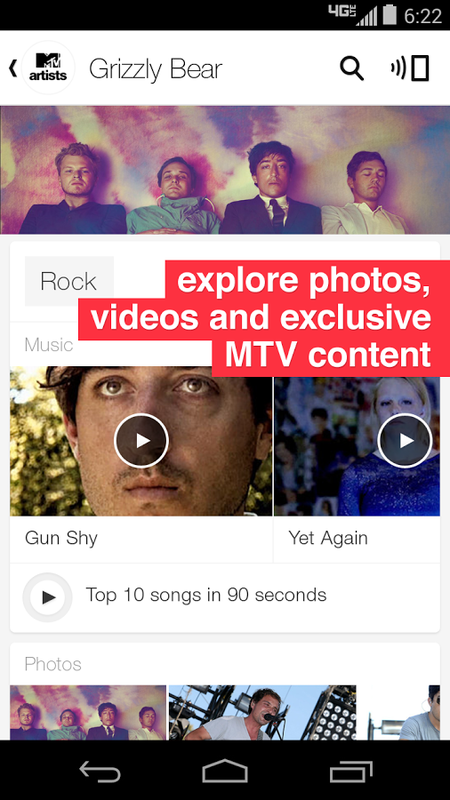 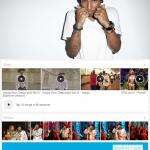 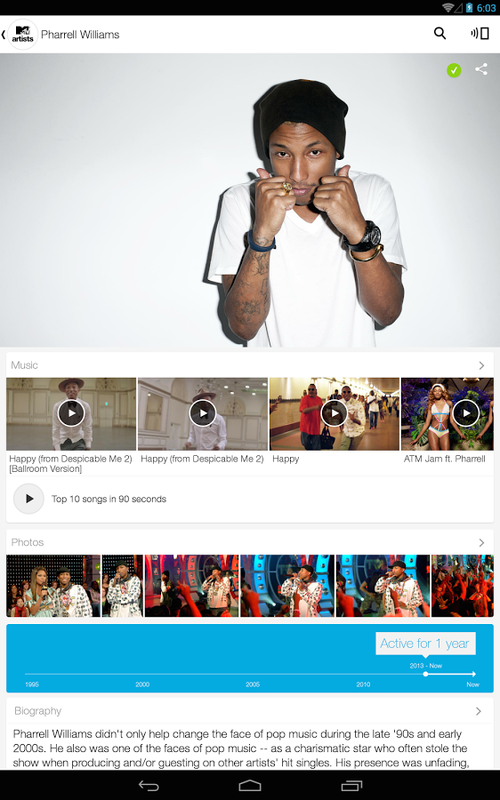 Explore artist bios, photos, videos and exclusive MTV content, then buy music and concert tickets, all from one app. 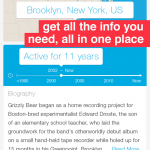 – Fun and informative infographics and artist BIOS make you an expert in seconds! 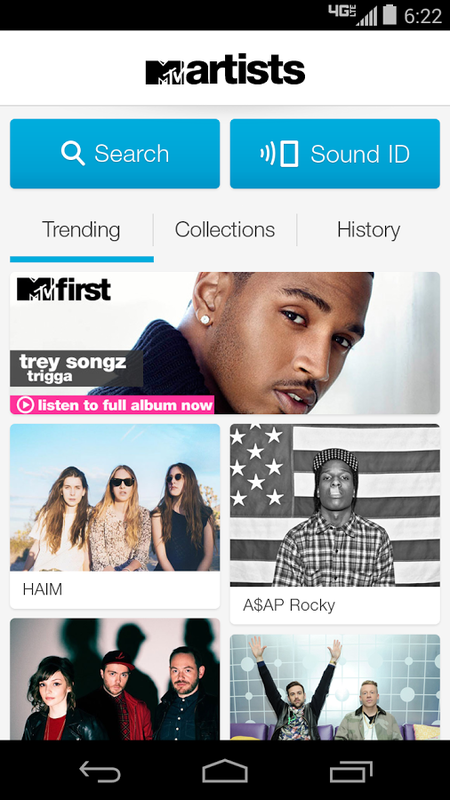 Come back to the app every day for new artists that are trending. 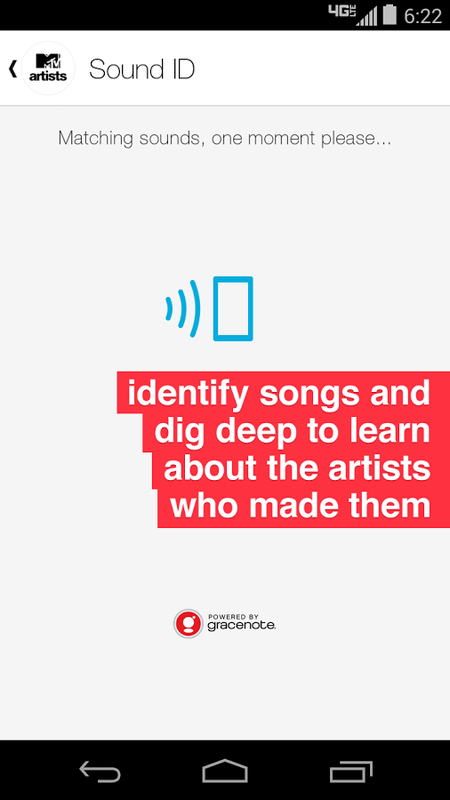 Explore “collections” of artists, curated by tastemakers from MTV, VH1, and CMT. 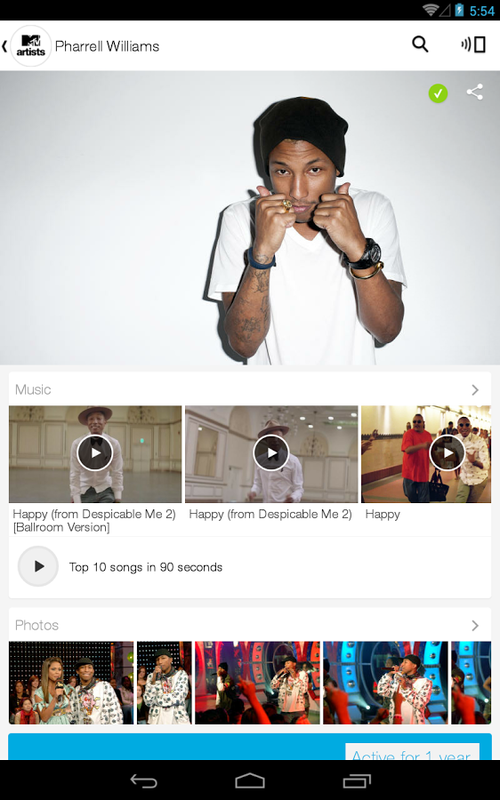 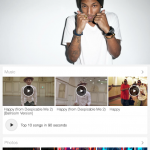 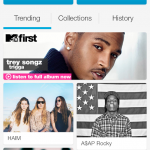 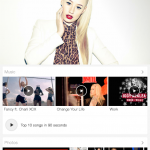 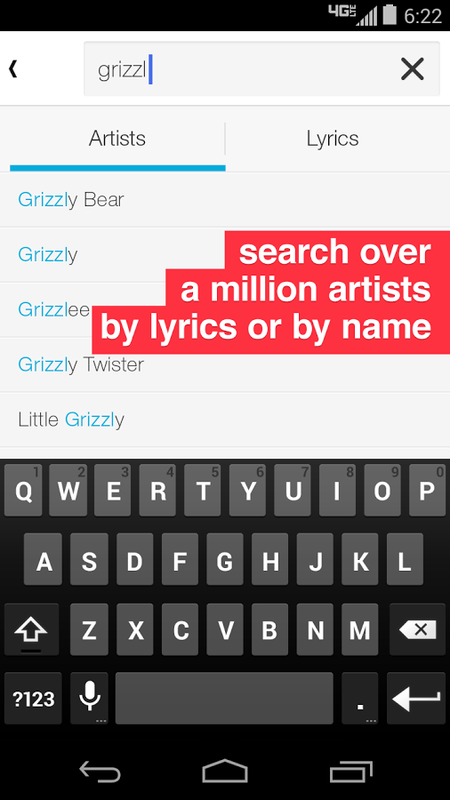 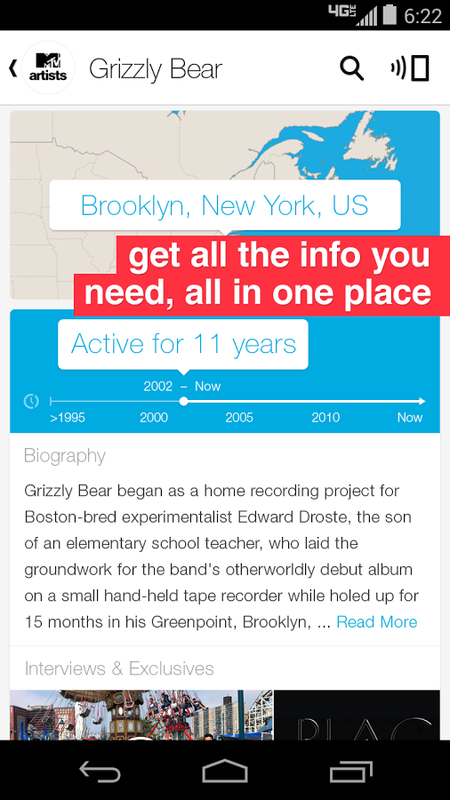 Use the app’s “history” tab to keep track of artists you’ve discovered.